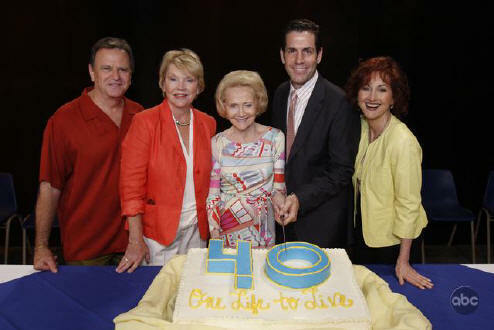 OLTL celebrated its 40th anniversary this month in grand style with appearances by Agnes Nixon, the show's creator, as well as a number of OLTL characters from the past, including Cord Roberts (John Loprieno), Tina Roberts (Andrea Evans), Cain Rogan (Christopher Cousins), Carlo Hesser (Thom Christpher), Asa Buchanan (Phil Carey), Ben Davidson (Mark Derwin), Mel Hayes (Stephen Markel) and even Jessica's deceased infant, now grown up to be Erin Torpey (ex-Jessica). The stories presented during this celebratory set of airings were engaging and fun, especially for historical viewers. Cheers to OLTL for knowing how to pull off a special event airing with class. EOS Really Needs Your Help This Week!